Indian Mackerels and Yellowstripe Scads at a Fish Market – Seafood Stock Photos: Fresh Indian Mackerels and Yellowstripe Scads being sold at a fish market in Asia. Download this high resolution food stock photo today or search for other great images from our seafood stock photos collection. 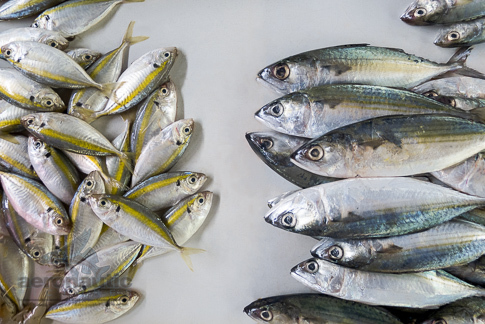 Another from our food stock photos category designed to be images for website and more – download this Indian Mackerels and Yellowstripe Scads at a Fish Market Stock Photo as soon as your order is placed!